The First Volume of Hallelujah begins at the very Beginning before God created anything. It continues in Heaven, and on the Earth and under the Earth, including the island of Atlantis, which, by an Act of War, has sunk beneath the sea, as reported in the writings of Plato. Volume One includes the Ice Age destroying the dinosaurs, making the Earth appear without ‘form and void’ (Genesis 1:2). Volume One concludes with the second creation of the Earth, starting with Adam and Eve. 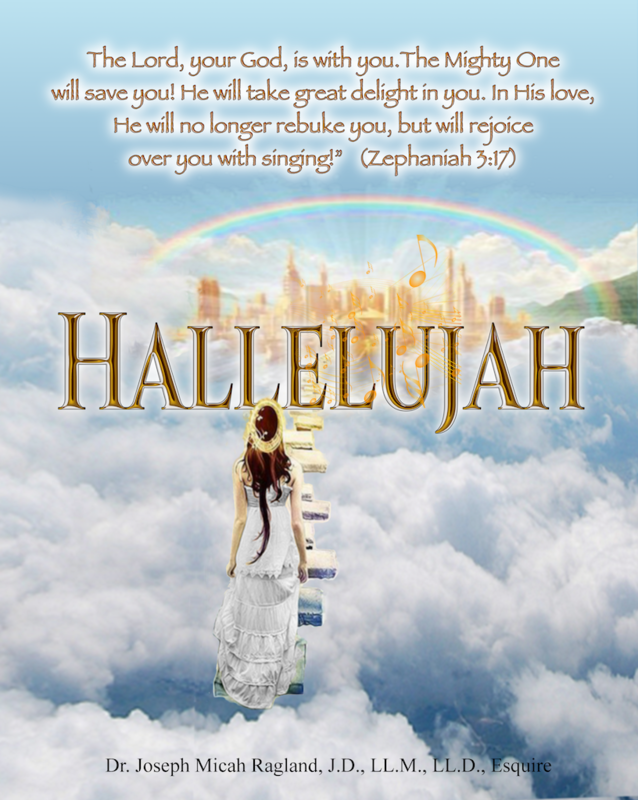 Hallelujah is a celestial and earthly adventure across time, space, and the invisible, having no previous examples, and will help make you God’s masterpiece now and in the coming ages if you will diligently let it! Volume 2 of Hallelujah further reveals how Attorney Job legally finalizes the land deeds to the Promised Land of Israel, placing them in sealed Clay Jars on Noah’s Ark, later to be given to Abram (Abraham), as God legally gives this land to Israel. Jurisprudentially, the legal career of Job should be studied in Hallelujah Volume 2 by both judges, lawyers, and law students, especially Job’s ethical violation, his defense of untrue charges made against his integrity, and his legal skill and wealth in obtaining the deeds to the promised land for God to give the promised land to Abraham and his descendants. The Third Volume of Hallelujah begins with the birth of the promised Messiah. It continues when the boy Jesus, the Son of God, raises from the dead the Egyptian Pharaoh’s son killed in a Chariot Race. The greatest truths ever told, continues with Jesus’ miracles, preaching of repentance, the new birth, the illegal trial, the nailing of Jesus to a cross, Jesus’ resurrection from the dead, the Battle of Armageddon, and the Great Tribulation on the Earth, Satan and all in Hell are finally legally cast into the Lake of Fire. Many are invited and choose of their own 'free will' to come to the joyful Wedding of the Lamb (Jesus). Hallelujahconcludes with those attending the marriage supper of the Lamb (Jesus) gloriously living with God in a safe, glorious, and joyful place, known as the New Earth (Revelation 2:1) to which the Adventurer is invited to become a born again citizen. The First Volume of the unabridged for the more serious scholar of Love & War begins at the very Beginning before God created anything. It continues in Heaven, and on the Earth and under the Earth, including the island of Atlantis, which, by an Act of War, was sunk beneath the sea, as reported in the writings of Plato. 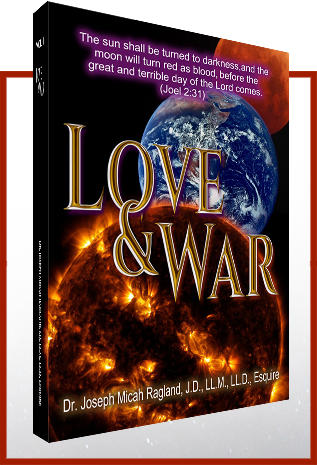 Volume One of Love & War includes the Ice Age destroying the dinosaurs, making the Earth appear without ‘form and void’ (Genesis 1:2). The Second Volume of the unabridged for the more serious scholar of Love & War begins with the birth of the promised Messiah. It continues when the boy Jesus, the Son of God, raises from the dead the Egyptian Pharaoh’s son killed in a Chariot Race. The greatest truths ever told, continues with Jesus’ miracles, preaching of repentance, the new birth, the illegal trial, the nailing of Jesus to a cross, Jesus’ resurrection from the dead, the Battle of Armageddon, the Great Tribulation on the Earth, and Satan and all in Hell being finally legally cast into the Lake of Fire. Many are invited and some choose of their own free will to come to the joyful Wedding of the Lamb (Jesus). Love & War concludes with those attending the marriage supper of the Lamb (Jesus) gloriously living with God in a safe, glorious, and joyful place, known as the New Earth (Revelation 2:1) to which the Adventurer is invited to become a born again citizen. The Sound of Christmas Music begins with the birth of the promised Messiah. It continues to when the boy Jesus, the Son of God, raises from the dead the Egyptian Pharaoh’s son killed in a Chariot Race. The greatest truths ever told, continues in the separate books Hallelujah and Love & War available at amazon.com Books by Joe Ragland with Jesus’ miracles, preaching of repentance, the new birth, the illegal trial, the nailing of Jesus to a cross, Jesus’ resurrection from the dead, the Battle of Armageddon, the Great Tribulation on the Earth, and Satan and all in Hell being finally legally cast into the Lake of Fire. Many were invited and choose of their own free will to come to the joyful Wedding of the Lamb (Jesus). Hallelujah and Love & War conclude with those attending the marriage supper of the Lamb (Jesus) gloriously living with God in a safe, glorious, and joyful place, known as the New Earth (Revelation 2:1) to which the Adventurer is invited to become a born again citizen. Many handsome men and many beautiful women, made in the image of God, will be invited to attend the glorious wedding of the Lamb (Jesus, the Son of God, a flesh and bone man born of a woman). However, millions will refuse to repent and make Jesus Lord of all and choose of their own “free will” not to be a born again part of the Kingdom of God. The Sound of a Glorious Marriage Music joyfully concludes with those declared saints attending the marriage supper of the Lamb (Jesus) and afterward living with the Father, the Son, and the Holy Spirit in a safe, glorious, and joyful home known as the New Earth. 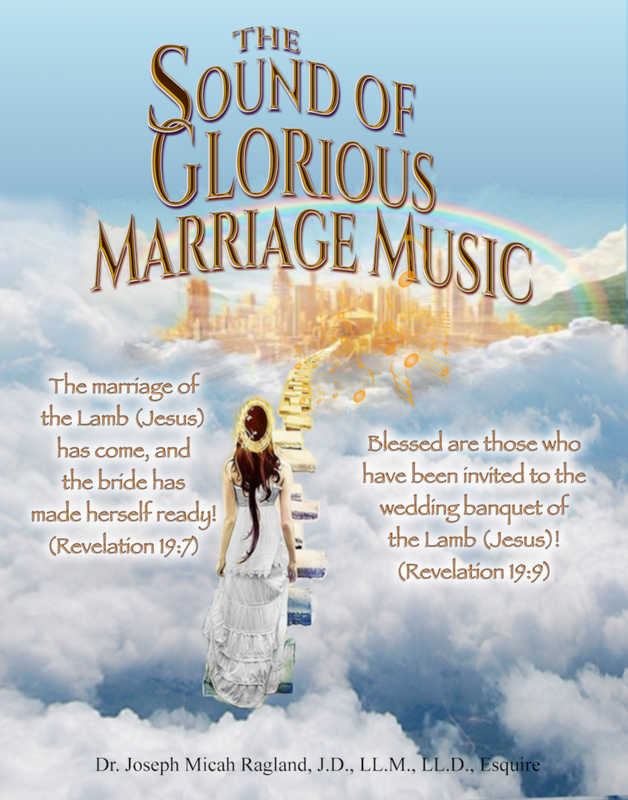 (Revelation 2:1) Yes, The Sound of Glorious Marriage Music will help one prepare and be invited to the glorious marriage supper (Revelation 19:9) of the Lamb (Jesus sacrificed by being nailed to a cross to shed His life’s blood to pay the penalty owed for the sins of those who will repent, receive Jesus as Savior, and confess Jesus as Lord). It is a fearful thing to miss being a part of the glorious marriage supper of the Lamb (Jesus). 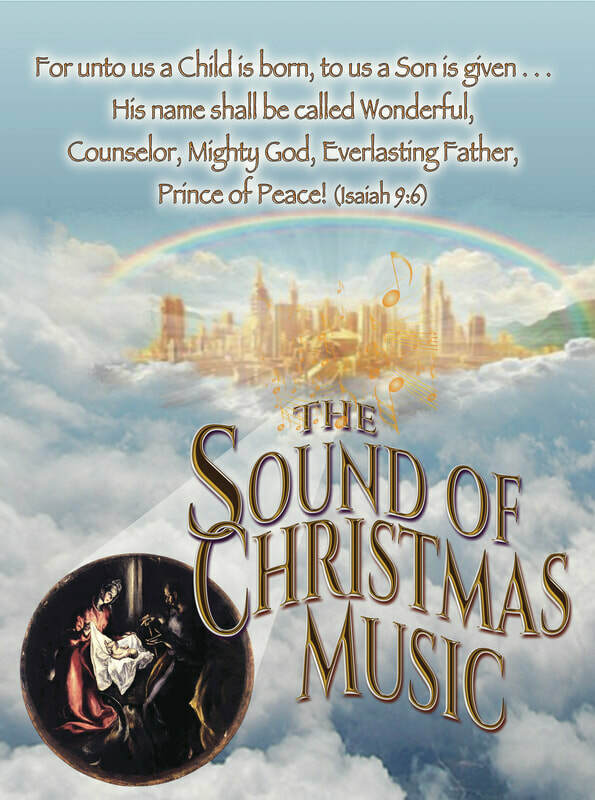 Adventurer spread cheer and joy and be determined not to miss the splendor of the most glorious marriage of the “Beloved Son of Father God” just ahead in Eternity described in The Sound of Glorious Marriage Music.